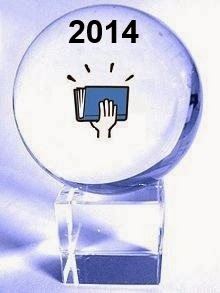 It’s that time of year again when I polish my crystal ball and stick my neck out with predictions for the year ahead. Last year I went out on a limb with 21 predictions. Looking back on them now, several were spot on, several were premature but will still play out, and some were dead wrong. That’s the fun of the prediction game. Even incorrect predictions, analyzed in retrospect, help shape our understanding of the present and future. Predictions stir our imagination of what’s possible. By imagining what’s possible, indie authors can prepare for the future, or take steps to realize the future they desire. This year, I bring fourteen predictions for 2014. Big publishers lower prices – Traditional publishers have always fought tooth and nail to hold the line on ebook prices. By maintaining high prices, they left the sub-$5.99 market for ebooks wide open for indie authors to exploit. For several years, indies have enjoyed this playground all to themselves. The results of our 2013 Smashwords survey illustrated the competitive advantage indies received by pricing low. Our 2013 survey found that books priced $2.99 and $3.99, on average, received about four times as many unit sales as books priced over $7.99. This pricing advantage helped many indies out-sell and out-compete the traditional publishers. It helped indies build fan bases at a rapid clip. For indies who could write and publish low-priced books that were as good or better than what New York was publishing, placement in the bestseller lists became more achievable than ever before. For much of 2013, it wasn’t uncommon to see indies holding up to half of the top 10 bestseller slots at major retailers on some days. Big publishers have taken note. In 2013 big publishers began competing more aggressively on price with temporary price promotions. Until recently, it was rare to see a traditionally published book priced under $4.00. In 2014 their temporary price promotions will give way to a new normal. Discounting is a slippery slope. Once customers are conditioned to expect big-name authors for $3.99 or less, the entire industry will be forced to go there. The huge pricing advantage once enjoyed by indies will diminish in 2014. When everyone is pricing sub $4.00, price promotions will become less effective – If readers have an unlimited supply of high-quality books from their favorite authors at under $4.00, it means factors other than price will gain importance. Competition increases dramatically – With hundreds of thousands of new books published annually, and with retailer catalogs swelling to carry millions of titles, it may come across as trite for me to predict that completion will increase in 2014 for indies. Yet in 2014, the competition faced by indies will increase by an order of magnitude, and will make some indies wish it was 2013 again. The ebook publishing playing field, which until recently was significantly tilted in the indies’ favor, has now leveled a bit. Yet indies still enjoy a number of competitive advantages, including faster time to market, greater creative freedom, closer relationships with readers and thus a better understanding of reader desires, higher royalties rates and ultra-low pricing flexibility including FREE. Ebook sales, measured in dollar volume, will decrease in 2014 – Yikes. I said it. The nascent ebook market is likely to experience its first annual downturn in sales as measured in dollar volume. This will be driven by price declines among major publishers and by the slowing transition from print to screens. Although readers will continue migrating from print to screens, the early adopters have adopted and the laggards will shift more slowly. Another driver of the drop is that the overall book market growth has been moribund for several years. As ebooks as a percentage of the overall book market increase, it means the growth of ebooks will become constrained by the growth and/or contraction of the overall book industry. Global sales in developing countries remain one potential bright spot that could mitigate any sales contraction. Ebook unit market share will increase – Ebook consumption, measured in unit sales and downloads, and measured in words read digitally, will increase in 2014. The industry-wide sales slowdown, caused by the drop in average prices, will mask the fact that more books will be read than ever before. This is great news for book culture, and good news for indies who despite the loss of their once-powerful price advantage, will still be positioned to profit more from low prices, or to compete at ultra-low (sub $3.00) price points than traditionally published authors. A larger wave of big-name authors will defect to indieville – Multiple market forces will conspire to cause a large number of traditionally published authors to turn their backs on big publishers. Publishers will try to hold the line on their 25% net ebook royalty structures, which means big authors will see their royalties suffer as prices drop and as the unit sales advantage of low prices decreases, and as the disadvantage of high prices increases. At the same time, readers will continue to transition from print to ebooks, making the print distribution to physical bookstores less important, and thus weakening the grip big publishers once had on bigger-name authors. Big authors, eager to maximize their net, will feel greater impetus to emigrate to indieville. It’s all about the writing – It’s back to basics time. In a world where readers face an unlimited quantity of high-quality low-cost works, the writers who achieve the most success will be those who take their readers to the most emotionally satisfying extremes. Books are pleasure-delivery devices. It doesn’t matter if you’re publishing a cookbook, romance novel, gardening how-to, memoir or political treatise. Your job as the indie author is to write that super-fabulous book. That involves great writing and professional-quality editing. It also means avoiding all the mistakes that create unnecessary friction that prevent readers from discovering, desiring and enjoying the book. To understand these points of friction, and how to avoid them, check out my discussion of Viral Catalysts in The Secrets to Ebook Publishing Success, or in my Youtube video on best practices. All authors become indie authors - Back in the dark ages of publishing, you were either traditionally published or weren't published. Writers who couldn't get a publishing deal were seen as failures, because without the access to the publisher's printing press, distribution and professional know-how, it was virtually impossible to reach readers. Today, failure is not an option. The next generation of writers can begin writing their book with the full confidence that one way or another, it will get published. Traditionally published authors now realize they have desirable publishing alternatives they never had before. Once a writer - any writer - comes to the realization that the power in the publishing industry has transfered from publishers to writers, it opens up a new world of possibilities. Publishing no longer becomes an either/or question. The best writers will have the option to publish independently AND traditionally, or do one or the other. It's their choice. Both options are worthy of consideration by all writers, and can be mutually complementary. Even if you're a traditionally published author today, you're an indie author because you decide what happens with your next project. Subscription ebook services will change the game – If the ebook subscription services – the most notable of which are Scribd and Oyster – can make their business models work, then they’ll drive a game changing shift in how readers value and consume books. I examined the potential implications of this in my two-part blog post on this model (read part one | read part two) . For ebook subscription service users, reading will become an abundant resource that feels free. It’ll become a utility service in the same way that water and electricity are utilities. When we flip the switch to turn on a light, or when we turn the knob on the faucet to brush our teeth, we’re not thinking about how our next 60 seconds of that service will cost us one or two cents. We pay our monthly service fee, and for the most part we use the utility as much as we want. With ebook subscription services, the reader will pay $9 or $10 a month and enjoy virtually limitless reading. Readers will be relieved of the cognitive load of having to decide if a given book is worth the purchase price. Instead, they’ll surf and sample books with minimal friction, as if every book is free. The reader’s attention, and the book’s ability to hold the reader’s attention, will become the new factor in determining a writer’s success. Even if these subscription services fail, they'll change the future of publishing by giving readers a taste of friction-free reading-as-a-service. It's a taste readers are unlikely to forget. Publishers need to broaden their author services menu by creating an inclusive business model that allows them to take a risk on every author, to be able to say “Yes” to every author when the prior attitude was to say “No.” Authors want a spectrum of options, from self-serve to full-serve, and they shouldn't have to shell out cash to their publisher for any option. Publishers must abandon the culture of “No,” because authors no longer have the patience or tolerance to hear “No.” Authors have choices, and they’ve gained a taste for the joys of self-publishing. What’s this new model, where the publisher can say yes to every author, yet still earn a profit? The answer: they need to build or acquire their own self-serve publishing platform. A self-serve platform would allow them to take a risk on every author, and to form a relationship with every author. By operating a free publishing platform, the publishers would have the ability to serve the diverse needs of all authors. DIY authors would select the self-serve option. Authors with proven commercial potential who don't want to hassle with the responsibilities of being one's own publisher might opt for a path somewhere along the spectrum between DIY and full-serve (what has been heretofore been known as traditional publishing), assuming both the author and publisher desire that. The compensation models and level of publisher investment could vary based on the level of publisher service. Such a full-spectrum approach to publishing, where authors pay nothing, is 100% aligned with the author’s interests, and 100% aligned with the best practices of the best publishers. A good self-serve platform doesn't employ sales people. It doesn't take money from authors. And that’s how it should be. So the question is, can publishers introduce their own free self-serve platforms to broaden their services offerings? Time is running out. Platform is king – Platform is your ability to reach readers. Authors who can build, maintain and leverage their platforms will have a significant competitive advantage over those who cannot. Think of your platform as a multi-layered infrastructure that allows you to reach both new and existing fans. Elements of this infrastructure include your followings on Twitter, Facebook and the RSS feed of your blog. It includes the breadth of your distribution (more retailers is better than fewer), your uninterrupted presence at each retailer for every book, and the reviews at those retailers. It includes the number of authors who have “favorited” you at Smashwords, or who have added your books to their booklists at Goodreads. It includes subscribers to your private mailing list. It includes your celebrity, and your ability to leverage social media or traditional media or the love of your fans to get your message out. There are two primary factors that drive sales of any product or brand. The first is awareness. If the consumer is not aware of your product or brand, then they cannot purchase it. You need to put your product in front of a consumer and gain their attention before they can consider it. The second is desire. Once a consumer is aware of your product or brand, they must desire it. As I talk about in my Secrets book, the author is the brand. Your job as the author is to build awareness of your brand, and to build, earn and deserve positive desire for your brand. Awareness plus desire create demand for your product. This is why platform will become more important than ever in 2014. Your platform helps you get the message out to existing fans who already know and desire your brand, and helps you reach new fans who will attach their wagons to your horse. The larger your platform is, the easier it is to grow your platform further, because platforms grow organically. Multi-author collaborations will become more common – In 2013, I observed a marked increase in the number of multi-author collaborations. I’ve been encouraging multi-author collaborations for a few years in the Smashwords Book Marketing Guide, but 2013 was the year the practice really took hold. Authors are collaborating with fellow authors in their same genre or category on box set compilations of existing and original content. These collaborations are often competitively priced and offer readers the opportunity to discover multiple new authors in a single book. The collaborations also enable multiple authors to amplify each other’s marketing efforts by leveraging each other’s platforms. Production takes on increased importance in 2014 – One of the most important secrets to ebook publishing success is to write more books. As a writer, your writing is your unique creation. It’s your product. Authors who write great books (and produce more of them), are the authors who build sales and platform the fastest, because each new book represents an opportunity to please existing fans and hook new ones. Organize your time to spend more time writing and less time on everything else. "...the writers who achieve the most success will be those who take their readers to the most emotionally satisfying extremes." It's still an exciting time for authors. I actually would like to see the trad publishers cooperate, but I think it will be a few years down the road yet. The Author Solutions business model is wholly dependent upon making money by selling overpriced services to unwitting authors. I'm just about to break the 10k downloads barrier with my first book. I remember getting real excited when 100 people had downloaded my book. Interesting 'stuff', Mark. Acceptance level of subscription services for ebooks will something to keep an eye on. Posted your predictions on our <Smashwords Forum. Ebook growth slows? Makes me wonder, with India and China just now entering the picture, if this will happen or not. At some point soon, I believe the growth will grow even more than it has for the past decade. Awesome predictions! Bring on the New Year! Wooot! In 2014, I would like to see the traditional publishers embrace the indie author for the valuable low-hanging fruit they offer. I can imagine a new kind of partnership between the two where publishers offer quality works from seasoned indies. In other words, titles that have been vetted or screened out from the ‘not ready for prime time’ titles flooding the indie market. 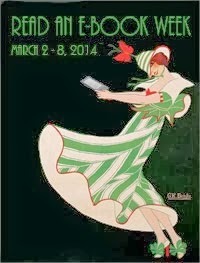 I don't mean to sound cruel, but who among us doesn't have a Kindle, Nook or iPad full of mediocre books, or worse. Certainly, there is still some stigma associated with the indie. Traditional publishers have established reputations they can bank on. It seems to me that with little effort and resources, they could partner with quality indie authors, non-exclusive, of course, and reel in readers who are tired of weeding through the bog, looking for that diamond in the rough. Let’s face it, it’s what they already do best. Now they can do it without the risky investment in capital. I suspect you may be being a bit too forward-thinking saying all authors will become indie authors. Certainly here in the UK I've heard traditionally published authors still extolling the virtues of going down that route; and I suspect it's partly because it allows them the luxury of just writing. By that I mean that they don't have to learn the discipline and skill to edit beyond spell-check. Nor do they have to stop and think "is that title really going to generate sales?" Someone in the marketing department will do the drudgery of rethinking the title and an appropriate and marketable cover, just as an outside editor will pick up on the glitches, leaving the writer to simply polish up those bits highlighted. Now that's great work if you can get it! Who amongst us wouldn't want to 'just write'? Well me for one, because when you're writing a series of books, who wants to be told that a character in book 1 should be cut when you have them critical to the plot in book 4? But it then means that the onus is on the author to get to grips with editing and marketing, and those who've had it easy for a long time don't take to that as readily as those of us who've had no choice but to learn these skills. And of course, there's little milage for the publishers themselves to have on board authors who think in such an independent way! So I think those authors who do move from the traditional publishing houses to self-publishing will tend to be those who have not had the best of experiences with them, and who genuinely have something to gain by moving across. Authors who come into the category of 2nd tier authors - the ones who fill most of the shelves in book stores but only ever have 1 or 2 of their books there, even if they have a back catalogue of 20+! And they really are competition for us indie authors, because somewhere along the line they already have a fan-base to tap into. So I don't see us having to compete with the best-sellers in whichever genre we write in, but those writer's who've been mistakenly shoved aside by the big guys will re-emerge as good, steady sellers in 2014, and their new work will form a goodly chunk of the best-sellers in the indie market. Love the blog, and all the other predictions! I think you definitely have of a finger on the pulse of what's happening. Yes!! 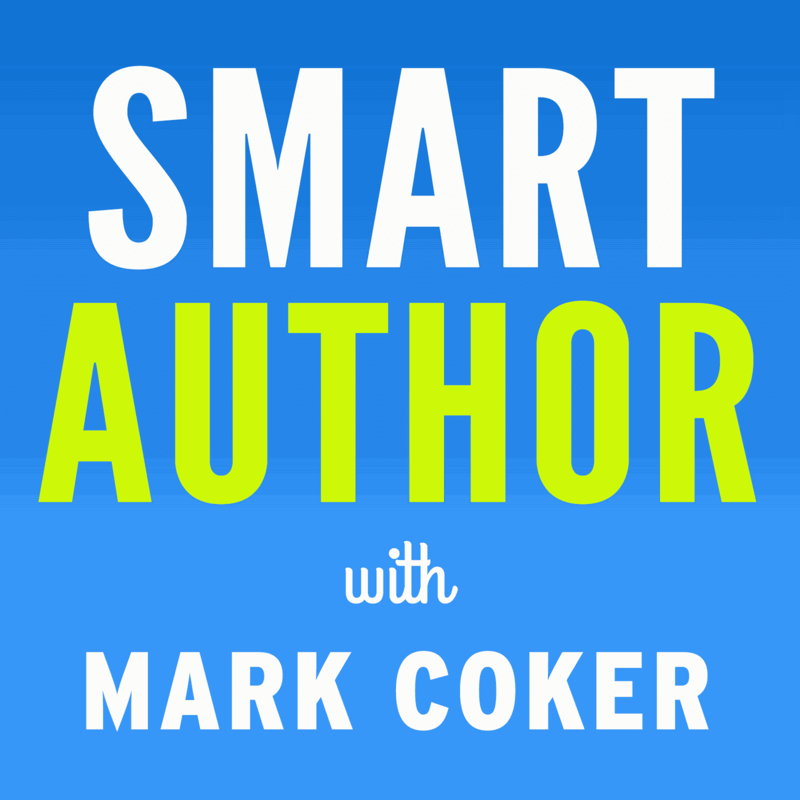 Mark, I love how you say we authors are writing the future of publishing. This reminds me how powerful I am, and feeling powerful is a great way to bring forth superawesome writing and many more books! Happy New Year, Smashword peeps! Not to be a naysayer, but how do you reconcile "Authors who can build, maintain and leverage their platforms will have a significant competitive advantage over those who cannot" with "Organize your time to spend more time writing and less time on everything else." As a trad-pubbed author who's also indie-pubbed, finding the time to build an *effective* platform while still writing can be an overwhelming prospect. Also, regarding multi-author collections, great idea (and it can be profitable), but there are some IRS pitfalls in that model. I suspect there are authors out there unknowingly running afoul of tax law with these multi-author projects. Karen, that's a great question, and the answer involves time management. An author's biggest platform building tool is their book. Focus on platform building tactics that give you the greatest leverage for the least amount of time. One such tactic is to place "connect with the author" social media links at the end of every book. Many authors neglect to do that, which means they're squandering a golden opportunity to build platform at the exact moment when they've got the reader's attention, affinity and desire. Similarly, I'm surprised by the number of author web sites, blogs and even Smashwords author pages where the author hasn't listed their social media coordinates. Once the book is configured to snag readers, price promotions (or better yet, perma free) on at least one title will help prime the platform building pump. The Smashwords Book Marketing Guide is almost entirely devoted to platform building ideas. Do the easy things first, especially those things that are permanent. Good tips. I like the keep writing part - it's the cheapest and I have the most control over it. Fascinating and encouraging. I'm going to post this on my bulletin board! I wish the price of hardcover novels would drop back down again. The average price for a hardback novel has nearly doubled in the past few years. Publishers who demand cash to do their job are clearly not up to the mark. Publishamerica demands money to send details to wholesalers! Mark's comments and info are always welcome and interesting. Going to so much trouble purely for the love of us chickens is simply awesome!! These are great predictions but some of it are a bit too forward. Though this things might happen but we all say that these are just predictions. I must add here that while Indie authors are busy building their careers, more and more promoters are juping into the picture and making scads of money from these frantic writers. Everyone wants - or should I say - needs to get noticed and there are only a few ways of doing this effectively. One of the best ways I know of is through promotion. Amazon has tried to help with their countdown program and 5 free days but only if one choses their select. I know Kobo helps with discount days every month. But what of the others? Smashword and Apple or B&N? We're forced to buy promotions from those with foresight who built large lists and now are in charge of the future sales like Bookbub, Kindle Books & tips, Booksends, etc. I'm happy they're out there and helping us (at rising prices -I might add) and that's their perogative....we'll pay to get the exposure...but I'd like to know what you see as the future of that area of publishing? Will the authors who can afford these costs be the ones who win out in the end? Mimi, I think most of the advertising services will raise prices up to the point that authors will bear, and that's probably the point in which the ad spend is slightly less than or equal to the earnings from the sales. Authors will still use the services at that rate because there's value in gaining a paid reader.